Fudge!! Oh how I love fudge. 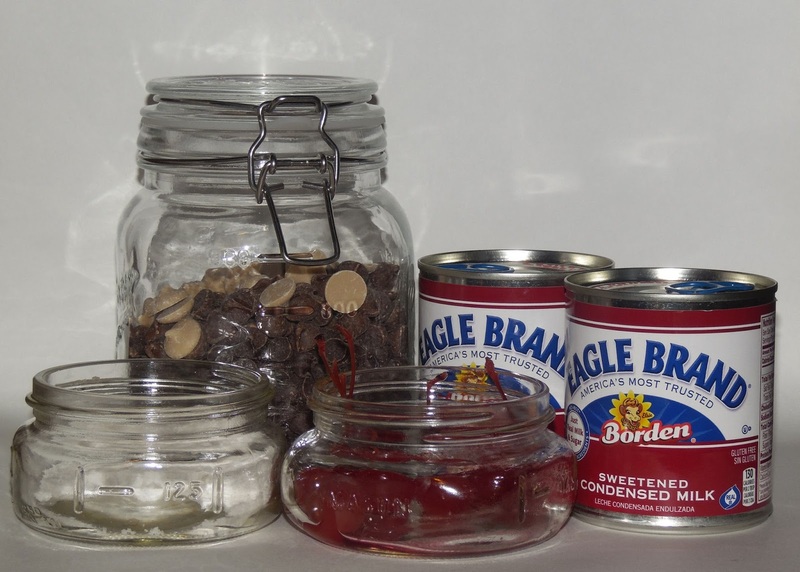 My family has been using Eagle Brand Sweetened Condensed Milk for generations. 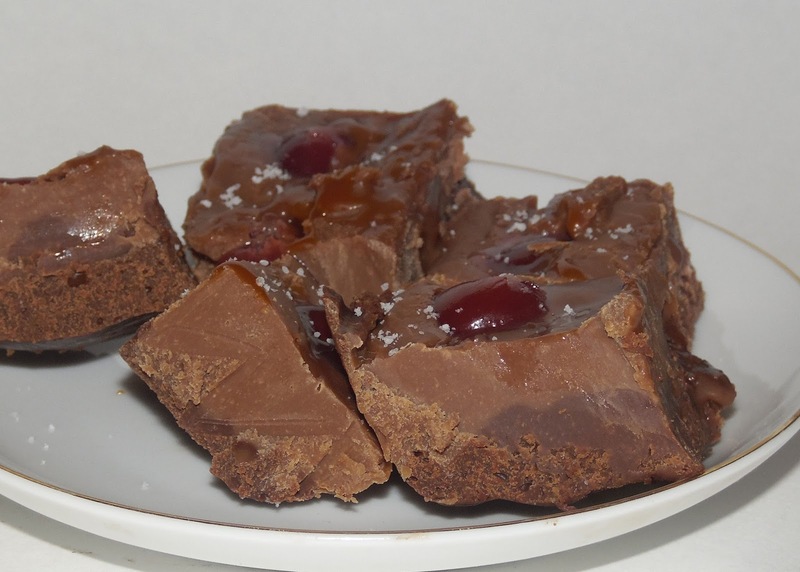 Fudge is one of those last minute things that is going to impress if it's got a silky texture and it's really easy to make it fancy and on trend. Today we made a nice big pan of a subtly two toned fudge to give as gifts- or at least as much as my husband will allow out the door. I suspect he's going to decide a lot of people get cookies instead! The first thing he said when he tasted it is "It's not grainy, it's perfect fudge!" 3/4 cup caramel chips - I used Ghiradelli brand for all the chips. Nice flake salt- I used an Alaskan sea salt that's made small batch in Sitka. Cook over low heat, stirring constantly until it's all melted and combined. Remove from heat, stir in 1 tsp. vanilla. Pour into pan, spread it evenly. Cook over low heat, stirring constantly until it's all melted and combined. Remove from heat, stir in 1 tsp. vanilla. Pour into pan, spread it evenly over first layer. Put the cherries on top evenly spaced. Chill. Add a drizzle of caramel sauce, cut into cubes, and put on a lightly sprinkle of salt. Check out Eagle Brand to find a lot more recipes. This post was sponsored by Eagle Brand- all opinions are mine.